Fiction lovers are in for a great ride at the forthcoming The Jaipur Literature Festival (24 to 28 January) this year! 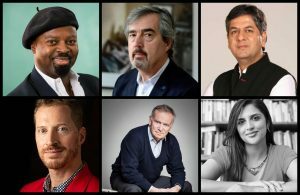 The most revered and loved fiction novelists are coming to JLF 2019, bringing with them an array of interesting sessions for everyone to enjoy. A number of discussions on topics like the art of writing fiction novels will be a special highlight this year. Fiction-fans and aspiring authors will get an exclusive sneak peek into the writing process of their favorite novels and get professional writing tips. 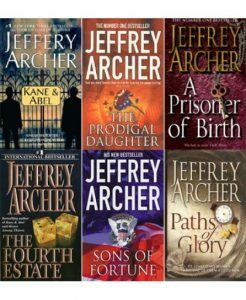 For those of you wondering which fiction writers you will get to meet this year— iconic author, Jeffery Archer will be visiting JLF to send much-welcomed arrows to your hearts! The best-selling novelist will be in conversation with renowned journalist, Barkha Dutt to talk about his extraordinary literary career. 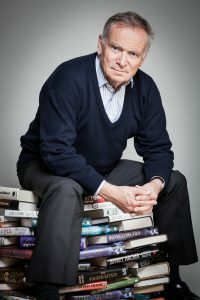 Also on the occasion, he will be introducing his new book, ‘Heads You Win’, a work of fiction spanning two continents for over 30 years. That’s not all, JLF will also bring together world’s greatest novelists like Vikram Chandra, Sebastian Barry, Andrew Sean Greer, Tania James and Ben Okri to answer the big question –‘Where Does Fiction Come From?’ Similarly, questions like ‘What is the process of creating fiction?’ and ‘How do you make up characters and situations that are believable and why should the reader care?’ will also be answered at JLF. So get ready for the unveiling of the big, bold and beautiful spectacle of fiction-writing at The Jaipur Literature Festival 2019.